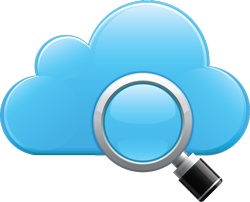 The advantages of cloud computing with regards to the accounting profession. Amidst growing global acceptance of cloud computing, cloud accounting is expected to increasingly grow in popularity as more SMBs make use of cloud resources. “Accountants can benefit from cloud computing because it eliminates purchasing software and servers, and maintaining and running them. The old technology infrastructure which requires all software and servers to be housed in the accountant’s office is now being replaced with a more robust and inexpensive cloud technology known as cloud computing,” adds de Borja. Some accountants are hesitant to use the cloud accounting technology because they don’t fully understand the benefits of moving to an accounting cloud environment. One of the benefits of cloud accounting is that the accountant doesn’t need to install a software in his/her computer. He/she just has to remotely access his/her application anytime, anywhere. If he/she has employees, his/her employees can access the same application and data. As long as there is internet connection, the accounting application and data can be accessed wherever and whenever. Instead of paying an annual fee or a license fee, an accountant can pay monthly subscription fees for the use of accounting cloud applications. Some vendors charge on a yearly basis and some also charge fees on a per user basis. Cloud applications are usually cheaper than the traditional applications because cloud computing allows a lot of users to share storage and server. It should be noted also that although several users can use the infrastructure, it is designed in such a way that users can only access their own data. Because of cloud computing, there is no need to maintain IT personnel and costly hardware in-house. Accountants who switch to a private accounting cloud also pay minimal, if not zero, maintenance or hardware costs because the responsibility of maintenance is shifted to the cloud application vendor. Because the vendors sell the service to a lot of users, the share of the accountant to the total maintenance cost becomes minimal. The accountant must also check for the data center’s downtime and the ease at which users can have access to their own data. He/she must ask the vendor about unscheduled and scheduled downtime. Such downtimes are often included in the contract and vendors are often penalized if actual downtimes go beyond what is stated in the contract. With the power of cloud accounting, accountants will surely benefit a lot from it. Researching about cloud accounting can help them get rid of whatever apprehensions they have regarding accounting cloud applications.